My wife and I were shopping in Yorkville, ONT. one time during the Toronto Molson Indy weekend one year (1992?). While in a men's store looking at ties, some guy said to me "so you here for the Indycar race" I of course said yes we were. "That Fittipetty guy was just here, he was not very nice." My wife and I always called Emmo "Fittipetty" after that. FWIW, I've only recently gotten on Instagram and prost_official is Alain Prost's Instagram page. 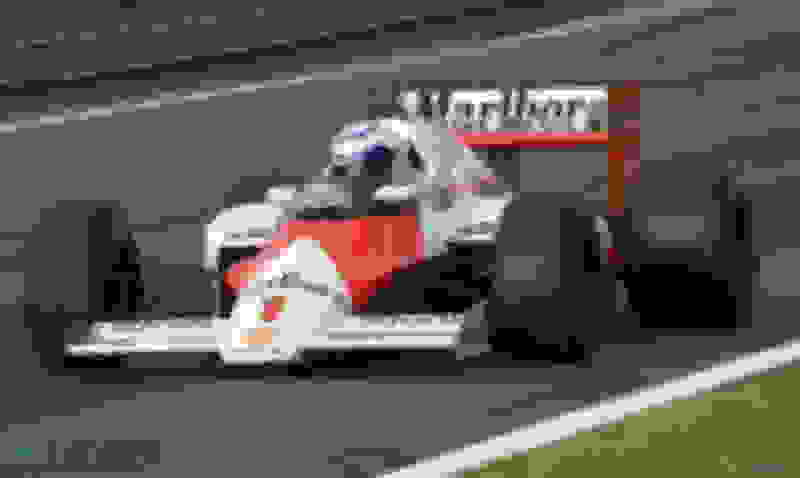 He has some great old and new pics on there, including recent pics of Prost/Lauda/Piquet, Alonso/Hamilton/Prost and some nice ones of him back in his old championship McLarens (MP4/2B). Bernie Ecclestone and Jean Todt have lost a power struggle with Formula One’s teams after they were forced to back down and accept a return to the 2015 qualifying format. After weeks of farcical wrangling, the teams forced Ecclestone, F1’s ringmaster, and Todt, the president of motorsport’s governing body, to drop their proposal for an ‘aggregate’ qualifying system. 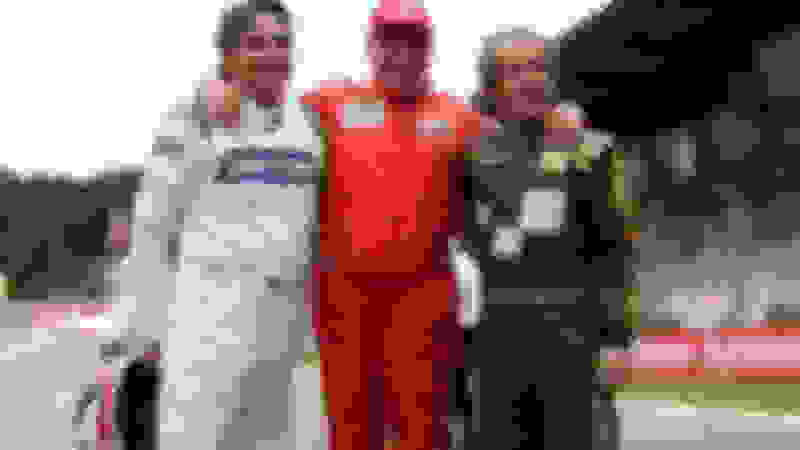 There was an outcry after the hated ‘elimination’ format ran in Bahrain, two weeks after its disastrous first outing in Australia, but Ecclestone and Todt had been digging their heels in, refusing to return to the generally popular system used in recent years. It took an extraordinary display of unity – and power – from the 11 teams to force F1’s two biggest beasts to row back in the face of a major revolt. 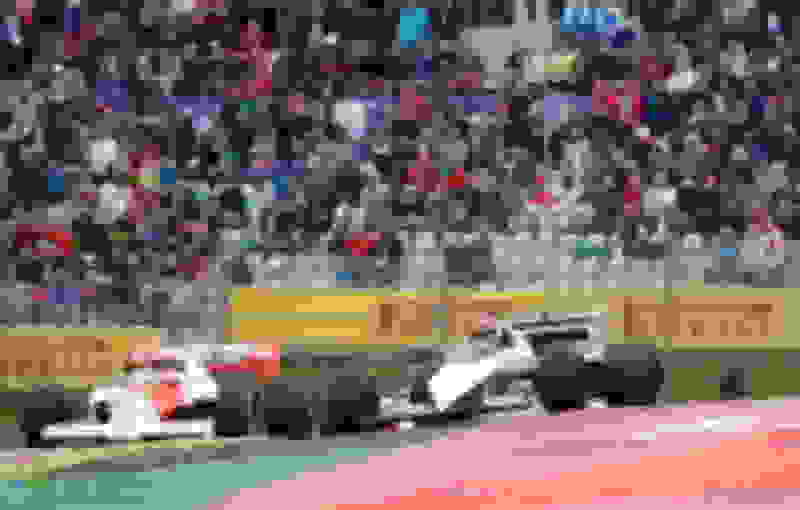 The teams wrote a letter to Ecclestone, Todt and CVC Capital Partners, the sport’s owners, saying they had unanimously agreed that only a return to 2015 qualifying would do. The debate over qualifying had taken on enormous significance since Melbourne and become a key battleground for control in the sport. Ecclestone has repeatedly vented his spleen at the teams having such a significant say in rulemaking and will be bruised by this defeat. Todt, the president of the FIA, said in Bahrain last weekend that he did not want to be a dictator only to refuse the teams’ plea on Sunday morning before the race. The drivers weighed in, publishing an open letter criticising a sport heading for “jeopardy”. Sebastian Vettel, the most influential, said the ‘aggregate’ system wanted by Ecclestone and Todt was “s***”. 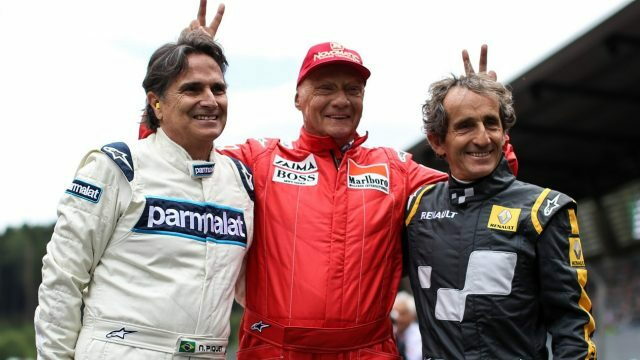 It all means after weeks of bewildering fans, sponsors, television companies and drivers, F1 should return to the old style of qualifying for the next race in China on the weekend of April 16-17. The teams are open to changing qualifying but want some thorough analysis done before it is imposed, unlike the last-gasp introduction of ‘elimination’ qualifying in Melbourne. It failed to have its intended effect – mix up the grid – and saw the final minutes of the session pass with no-one on the track. Qualifying will now consist of three straightforward sessions with the slowest cars eliminated at the end of each. 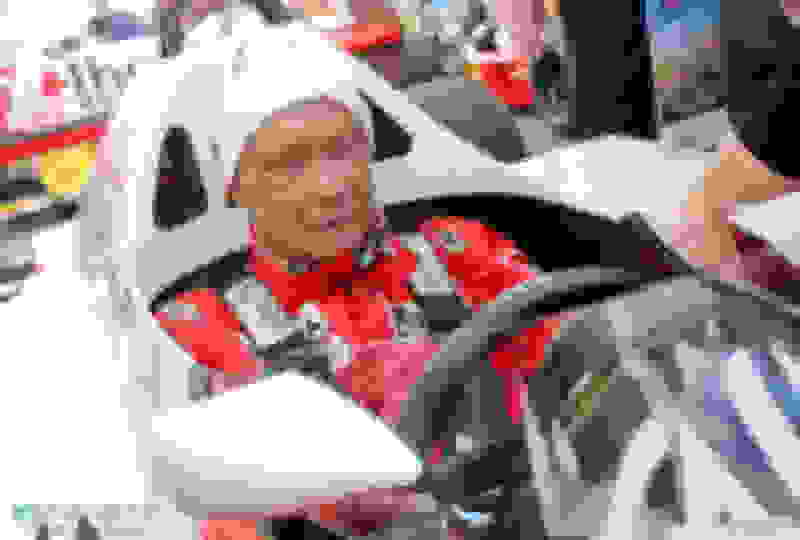 Ecclestone said on Thursday night he was still determined to find a way to mix up the grid despite two strong races to start the season. “Unless we can get everybody on board with regard to a new format we are not going to find an answer,” the 85-year-old added. Maybe Bernie could spice things up by sitting off to the side of the track and tossing puppies at the cars during qualifying. oooooorrrrrrr, maybe don't mess with what works? quit trying to fix what obviously isn't broken. It will finally be exciting to watch qualifying again. No kidding, qualifying is not what's losing viewership; the racing is. Some interesting tech tidbits of car changes. Since Formula 1 adopted its V6 turbo engine regulations for the start of the 2014 season, Mercedes has been the team to beat with four world titles and 34 race wins in the following two years. The German manufacturer also runs a customer supply business and currently provides the Williams, Force India and Manor teams with power units. It also supplied engines to McLaren in 2014 and Lotus last season. There has been a lot of interest from fans in how the supply process works and whether the engines are equal. When Mercedes introduced an upgraded engine for its works squad at the 2015 Italian Grand Prix, questions arose about how and when the manufacturer makes its developments available to its customers. So, responding to demand from our readers, we asked Mercedes exactly how it works. How do customers get their engines (power units)? Mercedes: All Mercedes-Benz Formula One race power units and spares are built and assigned at the Brixworth factory – Mercedes AMG High Performance Powertrains (HPP). They are then delivered either to the customers’ factories or directly to the race track, according to race and build schedules. Are all engines the same design or do HPP have to modify fixings and positions of things like radiators in keeping with the latest designs of their customers’ chassis? Mercedes: The power units are all the same design. We release CAD data to each customer early in the process, allowing them sufficient time to incorporate the size, shape and configuration of the power unit into their chassis development. Taking cooling installation as one of the examples you’ve mentioned, this is a chassis-side system and often requires us to use different adaptors etc. according to the team in question. But we’re talking minor adaptations, not major ones. What are customer teams allowed to do with their engines and the software that runs them? Is it one size fits all? Mercedes: We use the same software and hardware for all teams – including the works outfit. 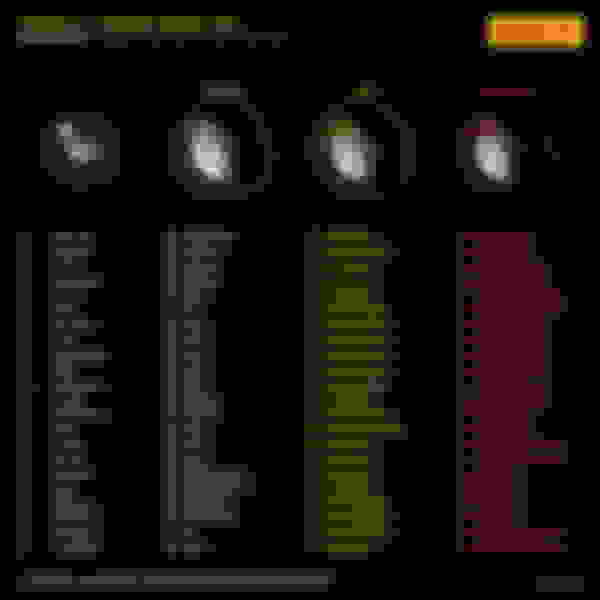 How the engine is operated is governed by something called the ‘phase document’ which regulates how hard each specification of engine can be run. With the token system, what are the logistics around supplying updates to all of the customers? Mercedes: This is a complicated process – and the more teams a manufacturer supplies the more complicated it becomes. Tokens can only be introduced when a new power unit is introduced – and getting a new power unit up and running fault-free in eight cars simultaneously during a Grand Prix weekend is no mean feat. Is any delay in getting upgrades to customers purely down to a lack of parts – and do those that are produced naturally go to the works team first? Mercedes: The works Silver Arrows team is the core focus of effort for Mercedes-Benz. However, we contract to supply our customer teams with a package of identical specification unless logistical constraints make that impossible. We take this very seriously indeed. Our “Phase 3” upgrade introduced in 2015, for example, was supplied to all teams at the same time when they took their second power units. Last year, in-season development was only confirmed in late December 2014 – by which time our season programme had already been defined and production of long-lead items was well underway. In order to take advantage of the opportunity offered by in-season development, we therefore had to adapt and take the calculated risk to pull forward projects intended for 2016, which could then be evaluated in real time and racing conditions. It wasn’t until our third power unit of the season was introduced in Monza that we were able to deploy our remaining tokens. When we did so, it was only possible to supply the two works cars due to the logistical challenges of manufacturing those items with the longest lead times, such as the crankshafts and crankcases. Although we had adapted significantly to account for in-season development, we always have to balance the short-term gains with long-term rewards. In other words, it would have been impossible to supply every team with “Phase 4” simultaneously without compromising our start to the 2016 season. What we learned from running this development specification in the works cars has enabled us to make a good step forward this winter and has further accelerated our development – which benefited every Mercedes-powered car for Melbourne this year. How do the customer teams run their engines each weekend? Is everything handled by embedded HPP engineers in the customer team? Mercedes: How the engine is run is defined by what we call the phase document. This dictates how many laps can be done in each engine mode and defines the safe operating limits. These are then fluid according to the damage metrics we monitor throughout each race weekend. Our colleagues at Petronas are particularly crucial to this process. 24 engine oil and nine transmission oil samples are usually taken per car, per race weekend. Along with other samples taken in spot-checks, this amounts to an impressive total of around 350 tests per weekend – in addition, some 60 to 70 fuel samples are taken per weekend. Each of these is used to determine wear and tear on the engine – giving us a detailed insight into operating limits. In terms of running the engines, this is managed throughout by embedded HPP engineers – including a programme manager, two power unit engineers, a senior power unit technician, two power unit technicians and an ERS technician. Is there anything Mercedes advises them not to do in order to protect the engines? Mercedes: This is all contained within the phase document and is based on findings from both our dyno work back at Brixworth and data gathered across all cars on track throughout the season. We want to push our technology to the limits of performance and reliability and the phase document is a pretty accurate guide as to where those limits are. Proof of that came in Monza last year, where we went beyond the phase document recommendations with Nico’s engine – and unfortunately found out what happened. Are the engines sent back to HPP after each race or do the teams keep them and what checks are done? Mercedes: Depending on the race schedule power units are either transported directly to the next race or if time permits they are returned to HPP. They are sealed but still inspected visually to ensure consistency of care and maintenance. How do you track and plan mileage with 4/5 engines over a season and how do you gather data on customer engines? Mercedes: Very carefully, is the answer. These data sets are gathered in same way as any others on the car. Performance data is firewalled per team and reliability data shared between all to maximise the chances of every Mercedes-Benz engine seeing the finish line at every race. Any issues detected on our works cars benefit our customers – and vice versa. How far “behind” are the customer teams compared to the works team? When do they get the latest upgrades? Mercedes: As explained previously, we supply identical hardware and software to the works team and our customer teams. The only exception comes when this is made impossible by logistical constraints – as per last year with Phase 4. Apart from income, how does the customer engine programme benefit Mercedes? Mercedes: The more miles we run, the more we learn. Having a good spread of customer teams is a big challenge logistically – but one that ultimately benefits the entire Mercedes-Benz Formula One family in terms of performance and reliability. F1 is reverting back to the 2015-format qualifying system. This is another classic case of "strength in numbers" with all F1 teams in absolute unity, which can make happen even something that was previously firmly ruled out as an option by FIA/Ecclestone/CVC. They even drove some 3 decade old turbo F1 cars. Last edited by Legend2TL; 04-08-2016 at 10:22 AM. Video to go along with it, skip to 3:30 to hear what 80's era turbo cars sound like. click the link for YouTube noob! I am worried Grosjeans tires choice might leave him out in this race if tire concerns for China turn out to be correct. I know he pulled off using more super softs than anyone else last race but not sure that is going to work in China. So now that the F1 teams have gotten to faster qualifying and race speeds, the FIA want to mess it all up again with wider cars and tires with more downforce. Last edited by Chief F1 Fan; 04-13-2016 at 11:37 AM. Yes, more downforce. This will put more stress on the tires. 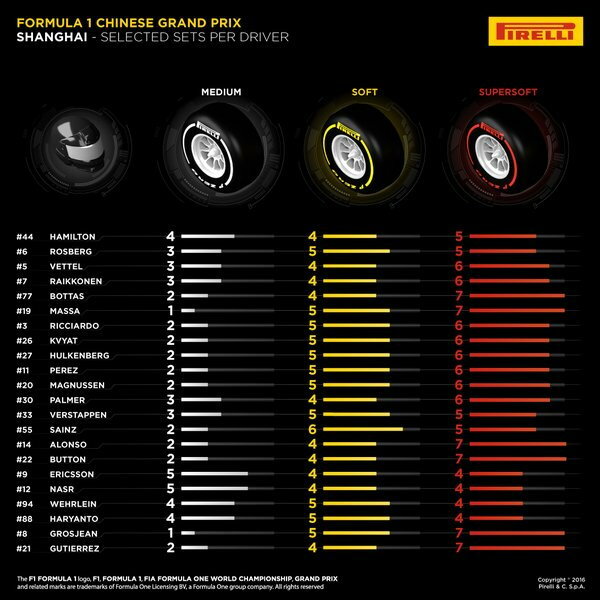 Now Pirelli is complaining the lack of test cars and test time to develop the stronger 2017-spec tires. Ummm..... Looks like another disaster in the making. I'm glad, I want to see him return to race and show Johnny Herbert what a FN jerk he is. Alonso has some ongoing medical testing to undergo but let's see how it goes. 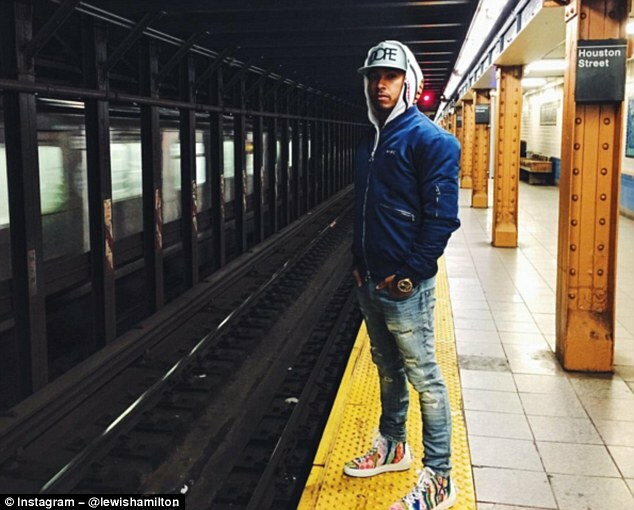 Hamilton's struggles continue with a 5 place grid penalty for a new gear box. +1 on the Indy, the cars are very ugly but also they're crashing alot due to reduction of downforce with some recent rule changes. In it's best the aero domed skids makes the cars skittish at the limit. On the F1 rule changes, I'm all for 2m cars. 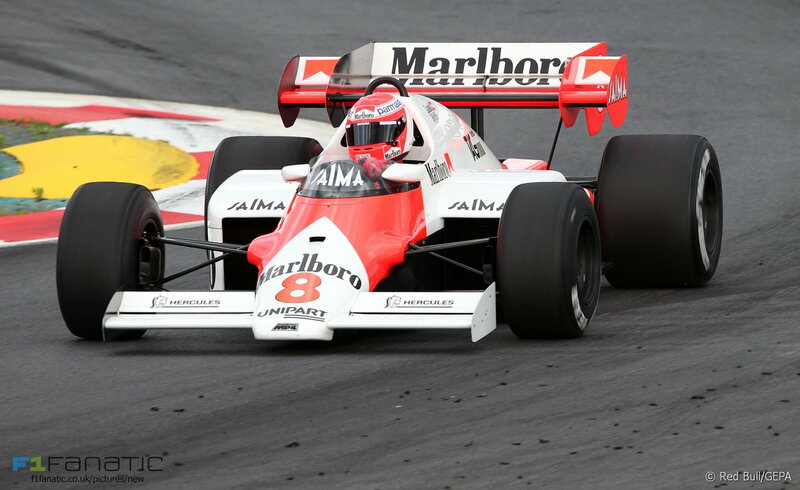 IMO, the best F1 cars are from the 2m width era. Going to 1.8m was for safety and same with the grooved tires. Didn't care for either aesthetically. On the passing, I was not aware that the floorpan downforce was generally not affected by following the car in front and the wings are greatly affected. Makes sense to get back the downforce on the underbody, but limit the wing downforce in order to promote more passing. Very complicated matter, so curious how it turns out next season. I'm hoping the 2m cars will be better looking, if anything there should be a limit to the number of elements on the front wings. They've gotten rather funky and artistic like but also the high end teams can run better CFM models and windtunnels to get better performance. 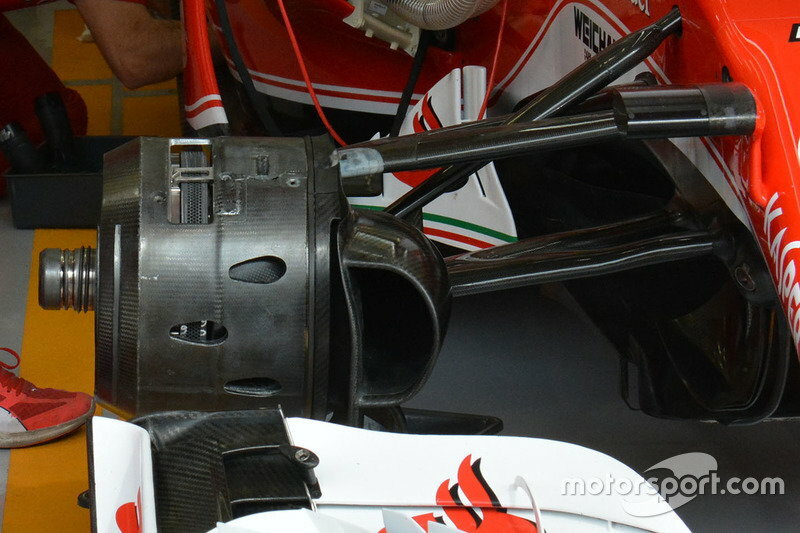 The front wings and their end plates are crucial to the management of air over the rest of the car. In the past with simple two element wings the front wings merely provided downforce. Then Williams and Ferrari put channelizers on the ends to guide the dirty end plate vortex air around the front tires and to the sides of the sidepods. They were ruled illegal. But in the 2000's front wings became important aero management, so they've gone upward of a dozen or so elements to channel the airflow over the rest of the car. Yeah, that could be a big problem unless Pirelli get track test time they need, it's technically not that big a problem as long as they can get some decent track time. Goodyear and Michellin were producing 13" wheel F1 tires that could handle the tremedous downforce of the skirt era in the late 70's and early 80's but they used to test 10k's of miles every year ensuring the tires were competitive and safe. Last but not least, really cool pic Button posted of all the drivers having informal dinner somewhere in China. It's pretty rare these days to see that many current (18) F1 driver together outside the track. Last edited by Legend2TL; 04-14-2016 at 08:50 AM. Cool shot of them at dinner. Nice to see them being able to gather together outside of races. I think the lack of testing for Pirelli is ridiculous. How do you expect a good product if they can't be allowed to test it under exact conditions. The backstory about the drivers at the restaurant is sorta amusing. Apparently, the only thing the drivers can’t agree on is who should have picked up the bill for dinner. Reigning F1 champion Lewis Hamilton, who chose the restaurant and put down the deposit for the tables, said after the meal he suggested one driver pick up the bill and someone else could pay next time. I've not gotten anything from here but a friend did and was very satified with his order. Some really good prices, may need to pick up a Williams or McLaren hat. Damn, no championship point for either McLaren-Honda cars. The 2016-spec Honda power unit has definitely improved, but so are the 2016-spec Mercedes/Ferrari/Infiniti power units too. Is the new Honda power unit still underpowered ? At least they were running at the end and beat Haas no? Sounded like Grosjean had what he thought was a serious issue at the end. Also crazy to see the RBR cars outpacing the works Renault team significantly. Mr, "I can start dead last, pit 5 times and still beat half of the field" didn't do bad, considering. Last edited by fsttyms1; 04-18-2016 at 10:47 AM. Not at all really since Renault didn't take over Lotus until very late. They didn't even have bodywork done for the car at the first test until the very last minute. Renault have already stopped developing the 2016 car and are working on next year's car reportedly. No wonder Mercedes and Ferrari have refused to supply their engines to the RBR team, for fearing the exact same outcome. ^^ I don't know why RBR found it so hard to understand the works teams' refusal to supply them engines. If I was CEO of either MBZ or Ferrari, RBR wouldn't get my engines either! The fact that neither of the engine suppliers would supply engines to their real opponent explains exactly why McLaren hired Honda even with their struggles. The exclusivity of their relationship with Honda makes McLaren another works team. It's also ruining the sport, IMHO. True, they did mention that during the race, that the Lotus was set up for a MBZ P/U, not a Renault. Not only did RBR not understand, it even pull some stupid moves such as threatening to quit the F1 sport, to try to secure the Mercedes/Ferrari engine deal.